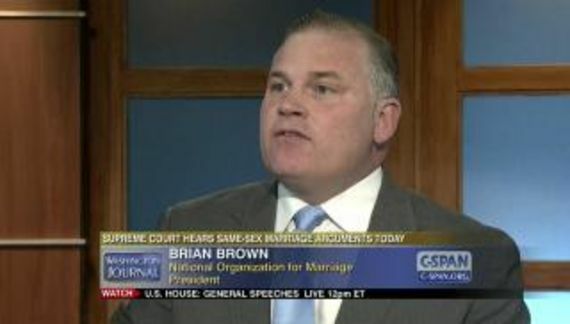 Apparently Brian S. Brown, leader of National Organization for Marriage believes that his potential donors are willing to believe that NOM will have some influence on the confirmation of the next justice of the Supreme Court. 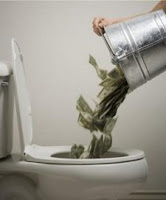 Brown further believes that his potential donors are willing to believe that forking over some money for NOM will affect the confirmation process. Minutes ago, President Donald Trump told reporters in the Oval Office that he will make his Supreme Court nomination to replace the late Antonin Scalia next week. Mr. Trump has pledged to nominate a justice in Scalia's mold, somehow who believes that the constitution means what it says and should not be remade to suit any particular agenda. That means in about a week NOM will be in the midst of one of the most pitched battles of modern times.